Tenerife is the largest of the Canary Islands, located west of the Africa and southwest of the Morocco coast. With its location being on the same latitude as the Sahara desert, this island enjoys a warm weather all year round. 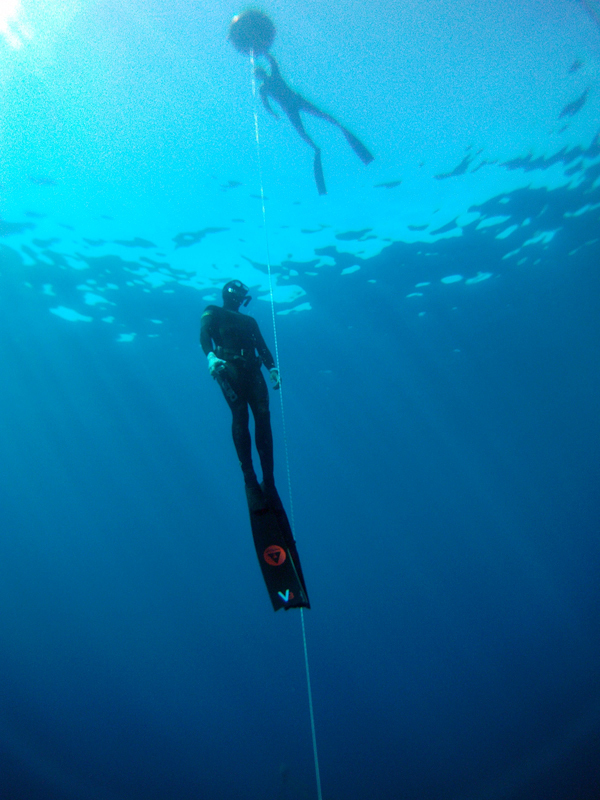 The warm and clear waters of the Atlantic Ocean deliver consistently great freediving conditions. Tenerife is a Spanish island belonging to EU and being a very popular holiday destination, there are many low cost airlines flying there, including Ryanair, Aer Lingus, Easy Jet, Monarch, Iberia just to name few; planning your visit in advance therefore can be very economical. On the south of the island you will find many tourist oriented beaches and resorts, while on the north there are more local towns and villages. 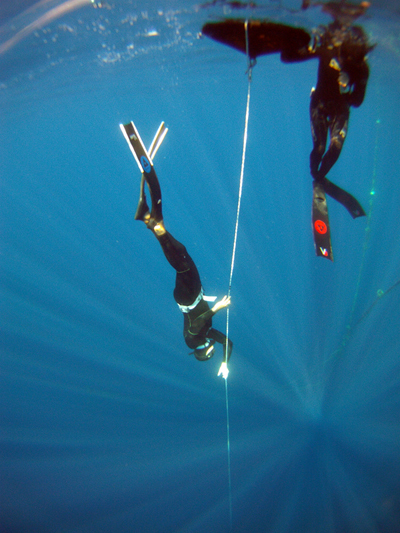 Our Freediving Center is located in Tabaiba, a small village on the beach 14km south of the capital, Santa Cruz de Tenerife. The Bay of Tabaiba is sheltered from almost all directions, so there are no currents and the surface is always calm, giving perfect conditions for diving and freediving all year round. 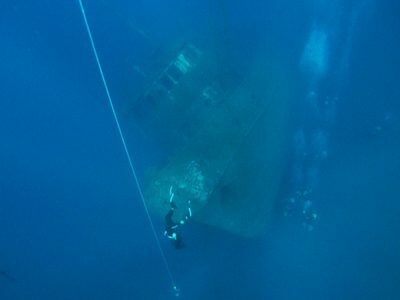 The visibility is also very good, and after an easy entry you can easily find depths up to -100m, all within short swimming distance from the shore. 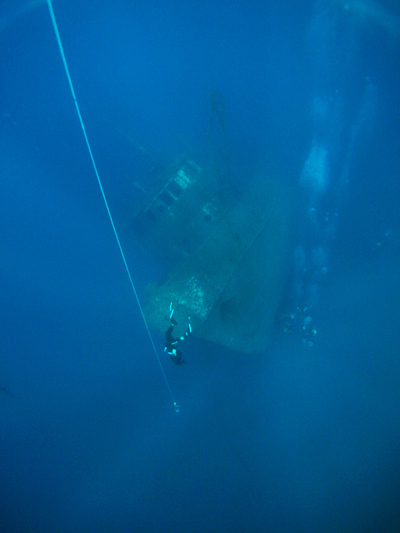 Our main training spot is also a famous dive site, renowned for its well preserved wreck laying at the depth of -30m. Our Freediving Center is on the ground floor of Jardin del Mar apartment building complex and only 40 steps away from the shore. 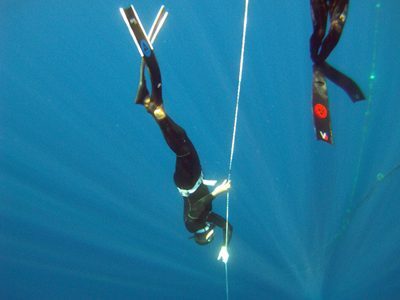 We have all facilities for your freediving holidays, such as all necessary equipment, changing rooms and storage, toilet, shower, classroom, fully equipped shop and a place to socialize after your training. We will be also happy to look after all your needs such as transport from the airport and accommodation, in the form of apartments close to our center, starting at 150 euro per week.